Broadstairs Bird Control Services Post and Wire System. Effective against pigeons and gulls. Keeps birds away from sills ledges, pipework and signage. Broadstairs Bird Control Services - Post and Wire Installations. A discreet bird control method to deter pest pigeons and seagulls. We fit post and wire systems in Broadstairs to a variety of surfaces such as window sills, roof edges, ridge tiles, concrete ledges and metal surfaces where bird presence is light. Once installed post and wire will deter pest birds from landing and works against both pigeons and gulls. 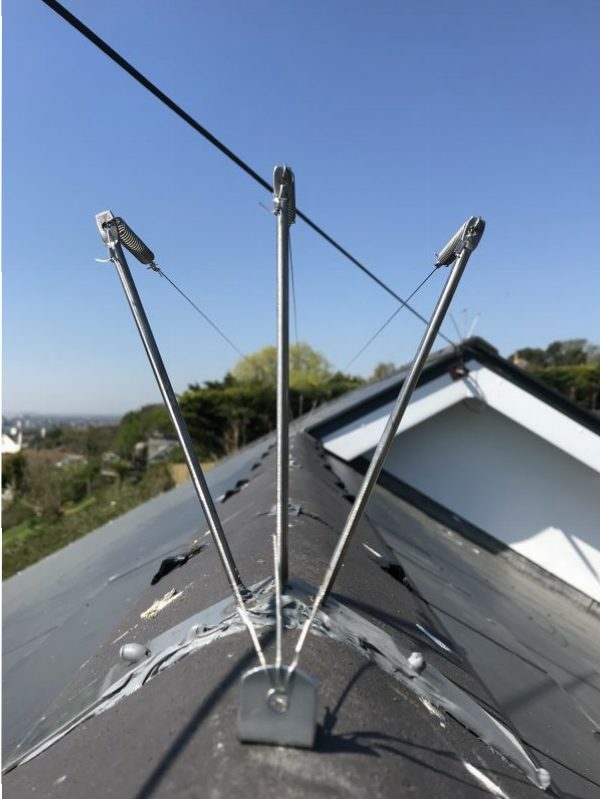 The installation consists of post being fitted at determined distances with a stainless steel coated wire run from end to end to protect the affected area. The wire is finally tensioned using springs which make sit difficult for birds to land. Post and wire requires little or no maintenance once installed due to its rigid and long lasting material. From ground level the system is hard to see making ideal for customers who require a discreet deterrent. Installing post and wire deterrents in Broadstairs. Get in touch with today to book a FREE site visit and quotation.